Last weekend was a whirlwind. I was in New York for less than 48 hours to attend a wedding and catch up with loved ones. While I was there I had to get some art in so I decided to check out Parsons New School for Design seeing as I’ve never been and it was conveniently located near our Sunday brunch spot. What was nice is they have a good assortment of student and professional art work on display for the public to view. One exhibition that caught my eye was U-n-f-o-l-d, a collection of art inspired by some of the most remote, desolate, and beautiful places in the world. I enjoyed it because not only is the topic interesting but also the artists used a good range of mediums for their forms of expression. It covered the gamet from photography and graphic design to painting and sculpture. 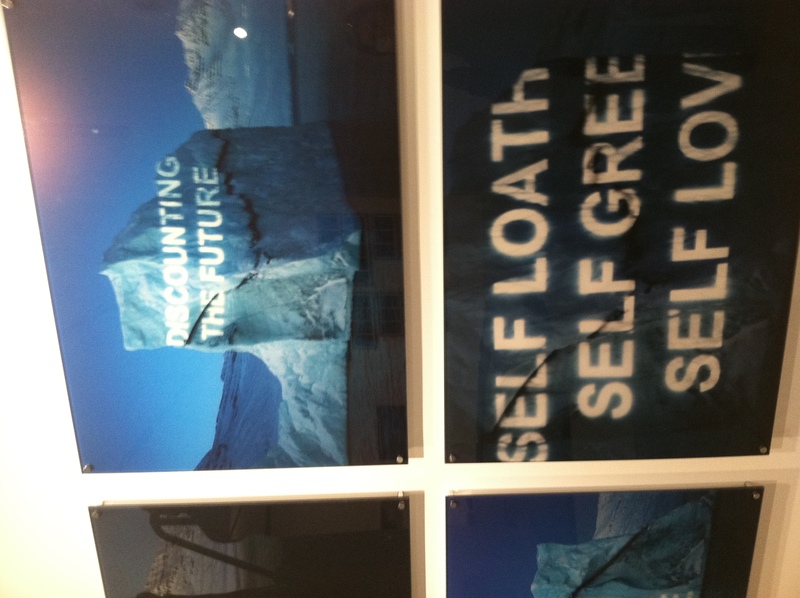 One of my favorite pieces was, but of course, a series of photographed type installations. It was fittingly called Ice Texts by David Buckland in 2008. What was unique is it’s not your average installation — it involved ice and light, and probably some boating, climbing, and much waiting. Each image was produced in a short window of time when the power of the video projector matched the light of dawn. 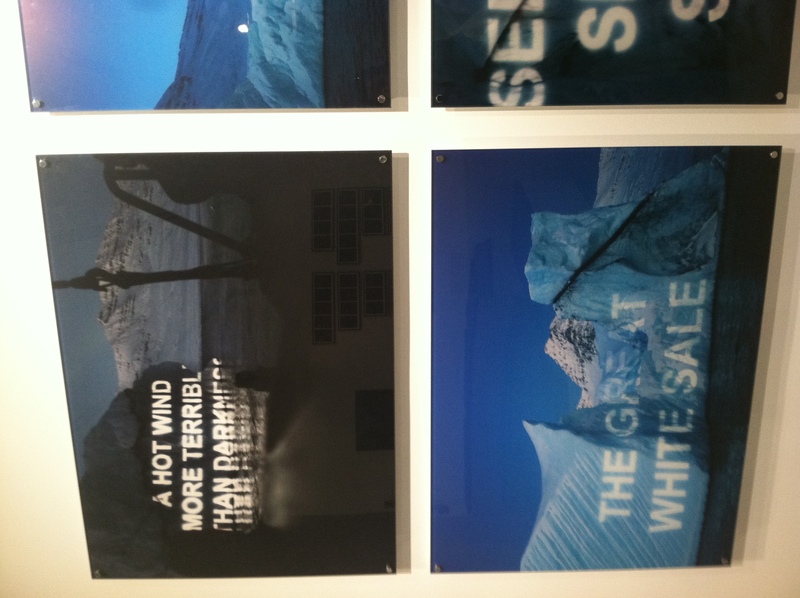 The outcome is beautiful and tells an impacftul story about the melting glaciers.